Join the world's largest social network dedicated to the Pit Bull breed. It's FREE! Become a member of the American Pit Bull Registry and gain access to even more benefits and services such as the ability to place FREE Classified ads, upload pics, share video, place free marketing information for your kennel and much more. Are you looking for a Pit Bull puppy to add to your family? Maybe you have a Pit Bull you would like to find a mate for? Then you have come to the right place. Our Pit Bull Classifieds service has more Pit Bulls listed for sale and breeding than anyone else in the world. At the American Pit Bull Registry we have more Certified Pit Bull kennels than any other registry in the world. Not only do we have more but we also maintain the highest standards of practice for our kennels and require each to agree to a code of ethics to help insure the production of the highest quality and healthiest Pit Bulls. dedicated to the Pit Bull breed. or to mate your Pit Bull? 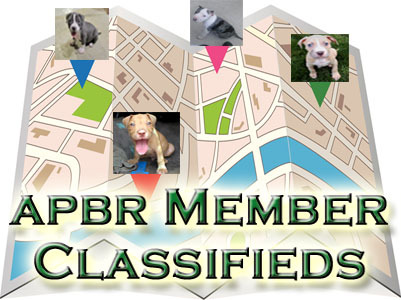 Check out the APBR Member Classifieds. for the Pit Bull breed. At the American Pit Bull Registry we provide a variety of community resources dedicated to promoting the responsible ownership of the American Pit Bull Terrier dog breed. No where else will you find the kind of resources and links to other enthusiasts within the Pit Bull community. 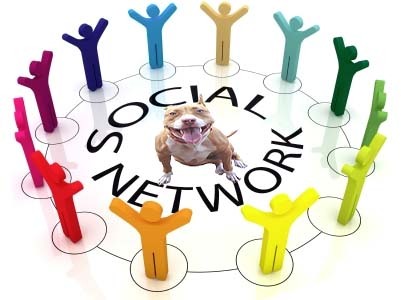 Our social network ( Pit Bull Social ) is the world's largest social network dedicated to the Pit Bull and has thousands of members around the world. If you are looking to add a Pit Bull to your Family or have a Pit Bull you would like to find a mate for then you have come to the right place. Through our classifieds services we manage more Pit Bull listings than anyone. Looking for a trustworthy kennel in your area? 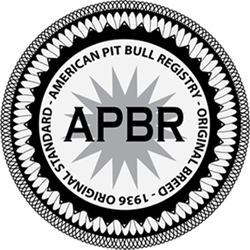 The APBR has more Certified Pit Bull kennels than any registry on the planet. Certified Kennel membership is not just a title but an honor as each kennel must sign a code of ethics testifying that they will breed to high standards, care for their stock in an ethically and deal with the public in an honest manner. 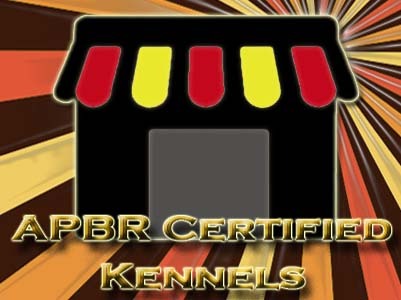 The APBR is the only registry in the world that requires its kennels to agree and adhere to such a code of ethics. To our Certified Kennels it is more than just a name and more than just a business - it is a matter of pride. "I have had the chance finally to really search your new site and it is awesome. I love it. In fact I have already posted in the forum several times and I was lucky enough to find a stud for my black tri color female I just acquired. She is AKC/UKC right now and I will be sending in her paperwork as soon as I get it. I want to thank you personally for always 'listening' to me and for all your help. 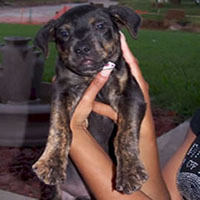 You have truly done an excellent service for Pit Bulls and Pit lovers with your registry and websites. All your help is greatly appreciated."